As the 1800s closed to an end, China was in a philosophical, ideological, and in many ways psychological battle internally as foundations of Chinese civilization eroded away by a flood of reform. Advocates for, and resistance to, western ideas and technology were both attempting to save China from collapse. However, modernizers and conservatives did not agree on what, in itself, China was. Was China the power and prestige of the Qing Dynasty? Was China the philosophical institution of Confucianism and the conservative morals that defined Chinese culture for millennia? Many interpreted the chaos that plagued China for the latter half of the century as a result of the abandonment of Confucian morality. Or was China the people and provinces that made up its society? The sowed seeds of nationalism sprouted and were beginning to flourish. Some wanted to restore old conservativism with reforms to China’s military, which found itself lacking when compared to more advanced armies and navies. 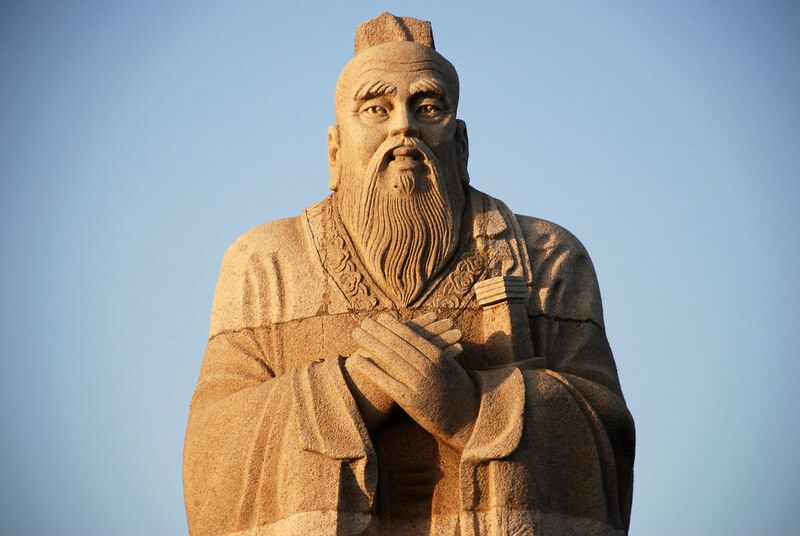 Classical Confucianism resisted such military reforms. Historian Edwin E. Moise notes that Confucian scholars, who held top positions in China’s government, often held a disdain for soldiers and military life. The scholars had a saying, “One does not waste good iron by making it into nails, or good men by making them into soldiers.” However, important Chinese military leaders such as Zeng Guofan, Prince Gong, and Li Hongzhang spent their careers innovating China’s military to match the western powers. These self-strengtheners were reacting to years of military defeat that began during the Opium wars, to the loss of Vietnam to the French in the 1880s, and leading up to Li Hongzhang’s naval defeat in the Sino-Japanese war in 1894. In the eyes of the self-strengtheners military reform was a must if China was to stop the growing spheres of influence of Europe and Japan. However, these military strongmen acquired individual and regional autonomy by their reforms. Zeng Guofan operated from his home province, from which he promoted and from which his officers promoted. These close personal ties forged an army more loyal to its province and its leader than to China or the Manchus. Li Hongzhang as well “had his own army, under officers he had chosen and promoted, equipped to a considerable extent from his own arsenals.” The capability of local strongmen to acquire such power proved detrimental as China’s military splintered into individual warlords during the chaos of the following century. China’s identity relied on the identity of Confucianism itself and the arguments between conservatives and reformers centered around this ancient social institution. China’s history is not like that of Europeans who can trace their heritage and back to different places and empires such as Rome and Greece. Adopting from foreign cultures was acceptable to most western civilizations, however, as Edwin Moise points out “the ancestors of the modern Chinese, by contrast, had lived in China for all of recorded history” It is understandable that conservatives felt like giving up ancient institutions was destroying China itself. Thus, it was the goal of reformers to redefine or delegitimize Confucianism before they could reform social institutions. Kang sought to change Confucianism from a faith to an ideology, which would allow it to be “interpreted as a tool that elevated certain social types (fathers, husbands, parents, elder brother) and degraded other social types (sons, wives, children, younger brothers).” Kang’s intellectualizing of sacred Chinese institutions cleared the way for future social revolutions as both the Communists and the Nationalists were defined by differentiating ideology. As China fought internally, encroachment by foreign powers ratcheted up the tensions and added fuel to the fire of reform. This is especially true concerning China’s humiliating defeat at the hands of Meiji Japan. Schoppa remarks that for the Chinese “no event to this point in the nineteenth century had created such widespread shock and such deep humiliation.” The Treaty following the Sino-Japanese war was as one-sided towards Japan as it was unpopular with the Chinese people. Kang Youwei, as well as 1,300 civil service examination candidates, publicly called for the repudiation of the treaty and demanded reforms, but China’s government refused which only strengthened the resolve of the reformers who now had greater solidarity than ever before. This joint anger of the people of China is why Kang Youwei observed that Meiji Japan was simultaneously China’s worst enemy and greatest friend during this period as China entered the 20th Century.